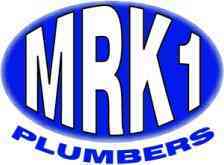 MRK1 Plumbers - Central Heating Engineer, Plumber based in Bromley, Kent. Plumbing and Heating has been my trade for 45 years to date. I hold a wealth of knowledge and have gained a wide amount of experience throughout my time, however still open to learning and never-ending self-improvement. After my school years, I completed a 5-year Apprenticeship in Plumbing and Heating. I became self-employed at the age of 22 and continued to be self-employed throughout my career. Being a sole-trader means that my work and reputation is very important to me, therefore I like to personally carry out all works to guarantee the quality that I would expect for myself. My portfolio covers all levels of plumbing and central heating; anything from a small tap washer to a full working plant room. Smaller jobs are just as important for me as the larger jobs, the aim is for my client to be happy and satisfied with all of my work. Small building works are also covered in my experience. Many of my clients are local landlords supplying refurbishments, upgrades and certificates for gas safety. I am a proud, long-time, member of the “Chartered Institute of Plumbing & Heating Engineering” and have been Gas Safe registered for many years, hence the short registration number. I look forward to working with you and please feel free to call with no obligation, to discuss anything that you may require.